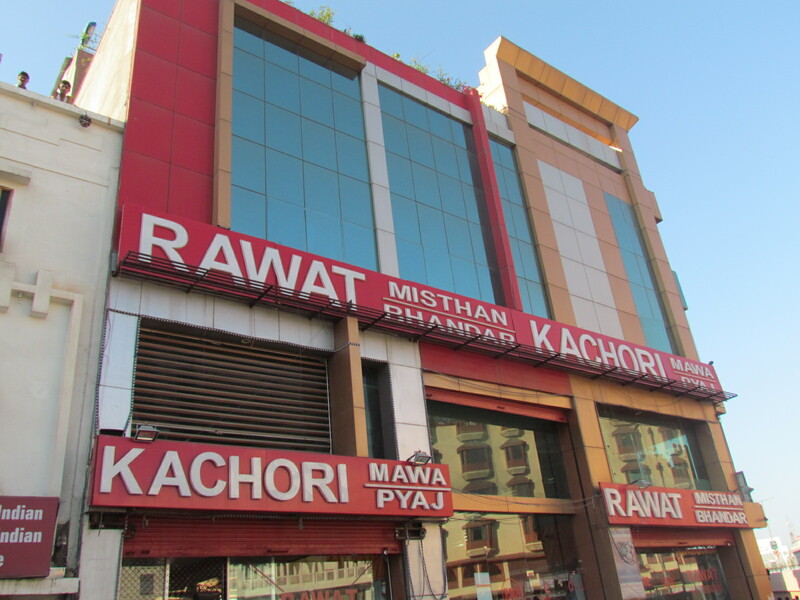 It’s a large Sweet shop that is known for Pyaz Kachoris among many other delicacies. 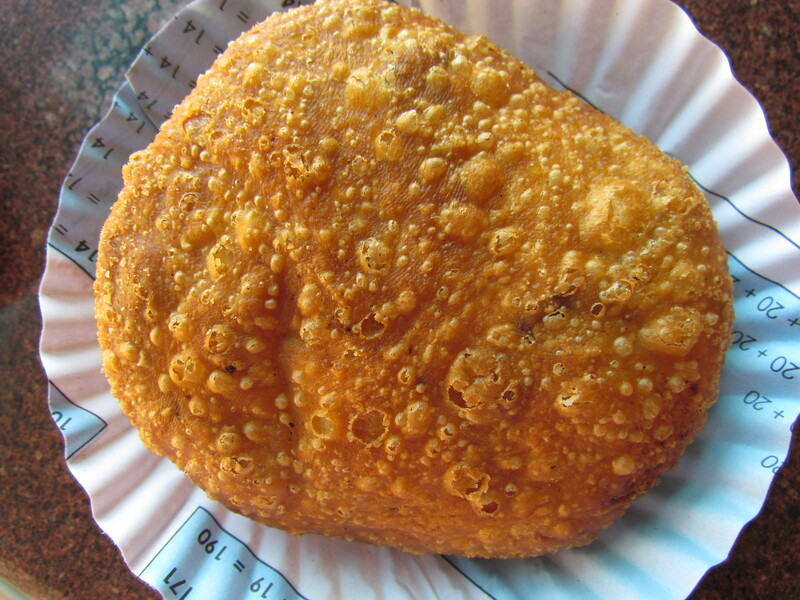 The Kachori has a very crispy & tasty outer layer. The inside is filled with spicy boiled mashed potatoes mixed with large strips of curried onions, overall having a very nice sour tinge ………very very enjoyable. 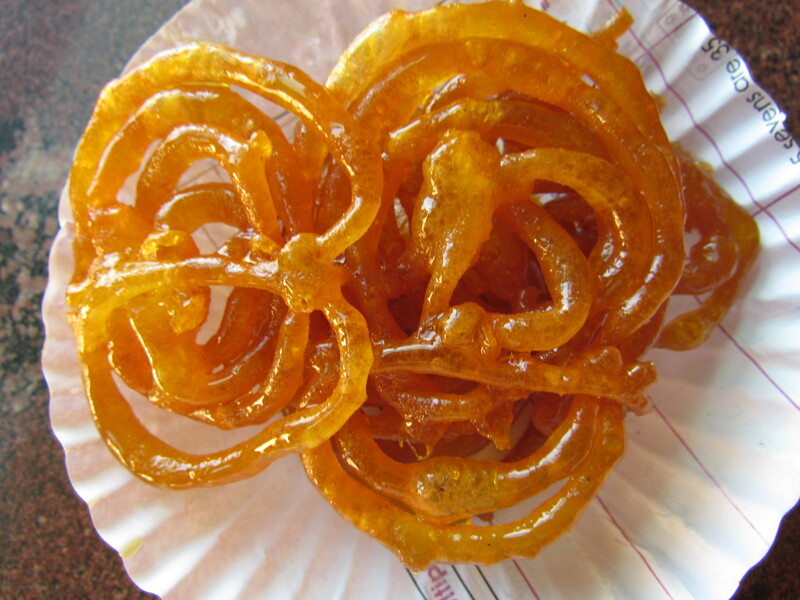 Also tried the jalebis here – Good, very crisp, a bit on the ‘browned’ side, fried in pure ghee & not repulsively sweet. However, there was no tinge of sour to add a twist to the tale & that is where I still find the jalebis at Sharma tea house, Kolkata to be be the best so far. We tried to have the Misri Mawa, which is also famous here but it was out of stock…..so no comments. They had Mawa Kachoris in sukha form & also in the sugar syrup & a full 40 feet display counter full of sweets that looked very very inviting………& I have heard from locals that those r good too.